A bleak weekend, the SPL gone for a burton. Only Alloa and Peterhead surviving in the SFL. What to do? Well, how about thinking about Scotland, Craig Levein and our ongoing search for qualification to a major tournament? I'm delighted to welcome guest blogger Euan Wishart to the Scottish Football Blog stable. Euan's debut is about all things national team and how Levein might be able to build something for the future. 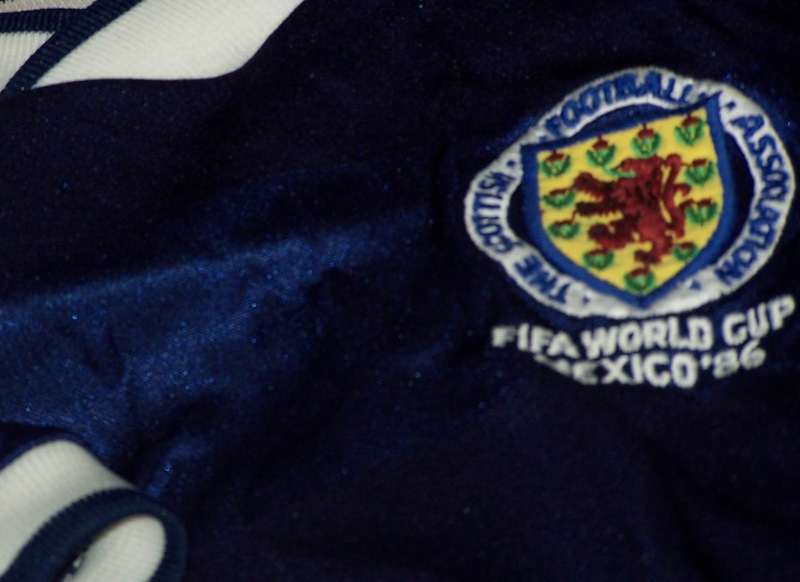 It is now 12 years since Scotland and the Tartan Army graced a major tournament. This season’s defence v attack style match in Prague against the Czech Republic, where Scotland managed ZERO shots on target, only heightened the levels of disenchantment with the national team. Much has been made in recent times about teams ‘building for the future’ and ‘blooding younger players’. Across the border there is a similar malaise and Fabio Capello was tasked with those very issues after the perceived failure of the England team at the World Cup. While Capello adhered to these values in the pre qualifying friendlies, come business time Wilshire & Gibbs found themselves back in the under 21’s. Under Craig Levein Scotland appear to have gone down a similar route. Experience counts. Levein has recalled David Weir, Lee McCulloch and Paul Hartley, not to mention his attempts to lure Barry Ferguson out of retirement. All of whom are the wrong side of thirty and can’t be seen as long-term players. But what of ‘building for the future’? Both Scotland and England have been urged to follow Spain’s blue print for success. The much-praised Spanish team have a squad nucleus with an average age in the mid twenties yet most of the squad have vast international experience. Similarly, the Germans under Joachim Lowe overhauled their aging squad and built their team around a nucleus of younger players. In South Africa the Germans with Ozil, Muller, and Neuer et al dazzled and won many plaudits and are now seen as serious contenders for the Euros in 2012. Both Levein and Capello can argue that the ‘bread and butter’ is to qualify for tournaments. Football is after all a result driven business. But what happens if Scotland actually qualifies for the Euros? Will Weir, Hartley and McCulloch be able to perform at that level? And what of the next qualifying campaign? There is a solution to the dilemma Levein and Capello have, a way of balancing off the immediate aims with the future gains. Taking the match in Prague as an example, Levein commented that he had watched the Czech’s on a number of occasions and knew in advance how he wanted to set his team up and, barring injury, most likely which players he wanted to select: McGregor, Hutton, Weir, McManus, Whittaker, Caldwell, Fletcher, Morrison, Dorrans, Mackie & Naismith. He also knew which players he would use to change the game with, in the Czech game, Miller, Iwelumo and Robson in mind. Perhaps add a defender and a keeper: Berra and Gordon. That makes 16 players likely to get any form of game time. So what of the other members of Levein’s 23 man squad? Why have players such as Maloney, Fletcher, Bardsley, Marshall or whoever sitting in the stand? This provides the manager with the perfect opportunity to look to the future and start building towards it. Does it not make more sense to select seven younger players? Adding the likes of Danny Wilson, John Fleck, Paul Hanlon, David Wotherspoon & David Goodwillie would provide them with the stepping stone into the international arena. Getting them accustomed to the squad, it’s rituals, the media pressure. Rather than give a thirty something ten minutes at the end of the game why not blood one of the new generation and use them as subs? The SFA & FA could lead the way and ensure the make up of the national squads represent a 15:8 or 16:7 split with senior players and younger players under twenty-three. A reversal of Olympic football whereby teams are made up of under twenty-three players and have a quota of senior players to supplement this. Adopting this approach would provide Levein and Capello’s England with a conveyor belt of talent making the gradual step into international football while not sacrificing the immediate aims of qualification and could return Scotland and England to the forefront of international football as pioneers for the future.